Are you ready to take your first steps into the world of VR? There are so many options out there; it can be hard to know what to get. When I first started getting into virtual reality I felt overwhelmed by all choice. The headsets ranged from $5-$500, but all seemed to promise the same amazing experience. I soon discovered there were big differences hidden by all the sales language. Is the Freefly VR headset a good choice for you? I’ll break it down and give you the information you need to get started in VR and not choose the wrong tech. As you begin exploring virtual reality, there are a few things you should think about. Do You Have a Decent Smartphone? If you get an entry-level VR headset, it uses your phone as a screen and to run apps. If your phone is old and has terrible graphics, you’ll either need to get a new phone or choose a stand-alone or PC VR system. Are You Just Testing or Do You Want Something for the Long Haul? If you just want a taste before you get something bigger and better, than a low-cost, not-so-sturdy headset might work for your immediate needs. If you want something you can use for a long time, you should probably go with a mid-range to high-end headset. Similarly, if you want to get the full VR experience, the mid to high-end headsets are where you need to look. This device will track your 360° head movements (using your existing smartphone) and projects this on your screen, making you feel like you're in a virtual world, this is called Virtual Reality. Enjoy another world with extreme immersivity due to highest Field of View (120°) in the market today, now even more lightweight and with added soft leather finish for the biggest comfort level even after longer periods of use. The Freefly virtual reality headset is one of the best looking entry-level VR headsets I’ve seen. The styling and colors of the headset are beautiful. It also has an impressive 120-degree field of view, the widest available. The Freefly is a mobile VR headset, meaning it uses your smartphone for the screen and to run apps. By using your phone instead of a built-in screen and computer, it reduces your cost for the headset tremendously. Regrettably, it also means your virtual reality app options are limited mostly to simple games and 360-degree videos. It has a 3-strap harness and comfortable soft leather padding against your face. It also comes with a Bluetooth remote and microfiber cleaning cloth to help you keep your lenses clean.. Unfortunately, for all its flare, the Freefly is missing some helpful features. There are no adjustments for focus distance or pupil distance. This may cause people to experience blurry images. Also, the pads that hold your phone in place are small and made of cheap plastic which may break. A relative newcomer, The HP Mixed Reality headset with controllers is one of the top tier virtual reality systems on the market. It has several great features which make it stand out, though it also has some areas that could use some improvement. Let’s explore the HP Mixed Reality VR system. When using a virtual reality headset, the quickest way to lose the immersive experience is for the gear to be uncomfortable. You don’t have to worry about that with the Freefly. The Freefly’s 3-strap harness comfortably secures the headset in place. This relieves much of the weight/pressure from your face. The Freefly also has soft-leather covered padding where the goggles rest on your face. The padding is breathable, making the headset comfortable to use for extended periods. 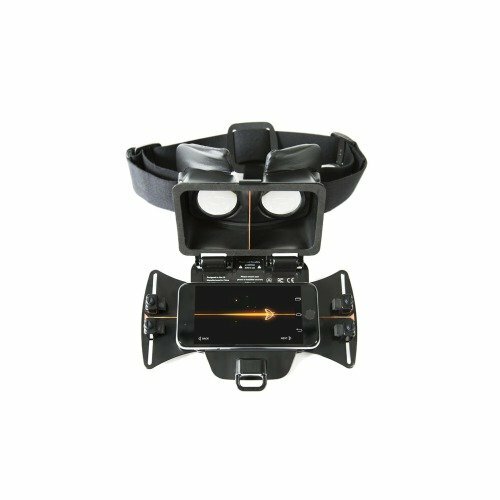 The Freefly VR headset boasts an amazing 120-degree field of view. This is as full a field as I’ve seen even with the most expensive VR systems. In fact, the Oculus and HTC Vive only have a 110-degree field of view. This affects the immersive feel of your experience. By having a very wide field of view, the VR screens fill not only your direct vision but your peripheral vision. This makes it feel more natural, like a real environment. When your peripheral vision is filled with your screen’s images, that’s great for immersion. When it’s filled with light from outside the headset, that pulls you out of your virtual environment. The Freefly headset does a great job of blocking nearly all ambient light, allowing you to become fully immersed in your virtual world. One of the distinctions between many entry-level headsets is how you control your phone when it’s inside the headset. Some headsets have buttons on the outside which hopefully line up with your phone. Others have remotes. Many headsets don’t have any external controls. This means you have to take the phone out every time you want to click on something or navigate somewhere. The Freefly comes with a Bluetooth remote. You can use this remote to select options, navigate your apps or the web, and even play some games. Personally, I think having a remote is a necessity with any VR headset. The remote that comes with the headset, however, is pretty small. It is also made of the same cheap plastic of the headset. So, don’t expect anything like a PlayStation controller. Also, it is only compatible with Android. Sorry, iPhone users. The Freefly is compatible with both iPhone and Android phones and fits a wide range of phone sizes. Its adjustable phone bay can accommodate phones with a diagonal size of 4.7-6.1 inches. This isn’t the best size range I’ve seen, but it fits most smartphones today. We’ve covered the features and benefits of the Freefly, but what are people’s real-life experience with this VR headset. I’ve gone around the Internet to see people’s ratings and reviews. They are generally positive, though not great. The most common positive comments I found were related to the comfort and beauty of the headset. The most common complaints I saw are blurriness due to the lack of lens adjustment and the quality of the plastic construction. While the Freefly may be a decent entry-level VR headset for some people (or for a gift), we want to make sure you are getting the right headset for you. Everyone’s needs and preferences are different. So, what works for one person may not work for someone else. With that in mind, we’ve put together a list of three alternatives for you so you can see how the Freefly compares to other headsets. Perhaps, another headset might be a better choice for you. The Samsung Gear VR is a mobile virtual reality headset, like the Freefly. However, the quality of the product is better. It also connects to your phone via a USB C wire for additional controls on the headset. The Gear VR can adjust focal distance to give you a clear image. Also, the devices it works with tend to give an HD quality image. What devices it works with is a big difference between the Gear VR and the Freefly. The Gear VR is designed for Samsung devices only, specifically, later versions of the Galaxy S or Galaxy Note. It also has a much better hand controller and connects to the Oculus Store for apps. The Gear VR promises a higher quality VR experience, but you need to have a later model Samsung Galaxy or Note. 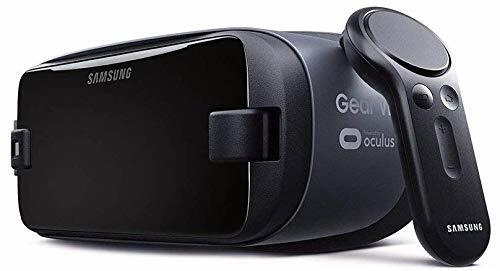 If you have a Samsung and want to step your virtual reality experience up a notch, you may want to choose the Gear VR. Click here to learn more about the Samsung Gear VR or go ahead and buy one. 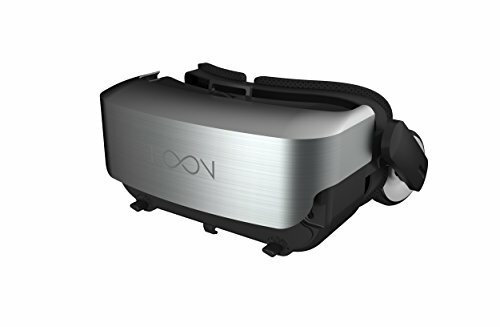 The Noon VR Pro is another mobile virtual reality headset. It is compatible with iPhone and Android phones with a 4.7-5.7 inch display. This is a bit less than the Freefly. It also has a smaller field of view, only 101 degrees, which is decent, but not great. The Noon has built-in headphones but does not come with a remote. One interesting distinction of the Noon VR Pro is the Noon VR software. This software allows you to connect to a PC via WIFI and stream videos. You can even connect several devices for a shared experience. If you have a smaller phone and want to be able to stream videos from your PC, then the Noon VR Pro might be the best option for you. You can find more information or purchase the Noon VR Pro by clicking here. The Oculus Rift is a nice step up from the Freefly as well as the Gear VR and Noon headsets. The Oculus Rift does not use a smartphone. Instead, it has built-in HD screens and connects to your PC (tethered or wirelessly) run apps. This allows the Oculus Rift to use higher quality games and apps and have better graphics. The Oculus Rift also has motion tracking. Where the other headsets mentioned in this article can detect if you turn your head or look up or down, they can’t track your movements. You are stuck in one location. The Rift includes room sensors and tracked hand controllers. This gives you free movement in your virtual environment. This takes your VR experience to a whole new level. If you want a true, full virtual reality experience, then you probably want to go with the Oculus Rift. The Freefly gives you a taste of VR, where the Rift lets you fully experience virtual worlds. 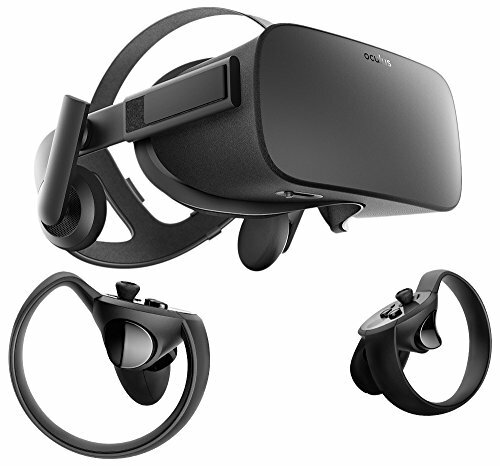 You can discover more or purchase the Oculus Rift by clicking on this link. Whether you want a full, high-quality VR experience or you just want to try out the virtual basics, there is a headset out there which will meet your needs. If you are just getting started or you want a fun gift for the kids, the Freefly Mobile Virtual Reality headset might be just what you need. You can get your Freefly headset by click here.